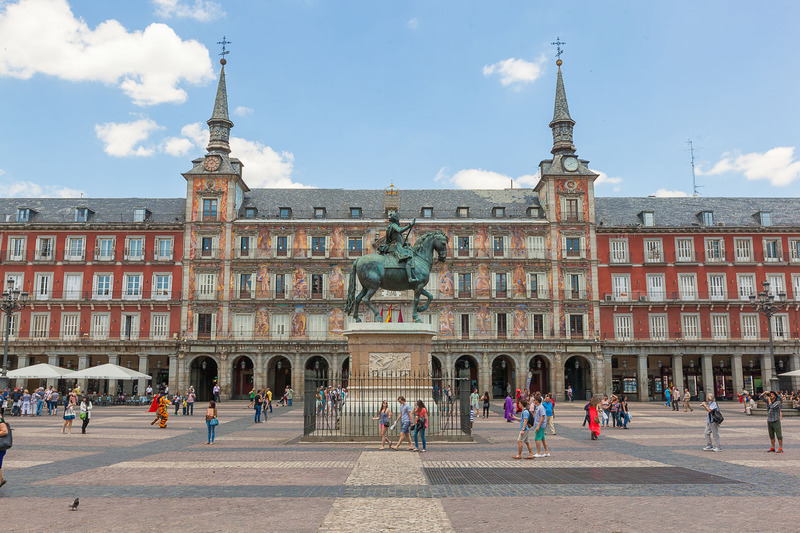 The iconic Plaza Mayor square is just a stone’s throw away, and is the location of a number of the city’s events and celebrations. 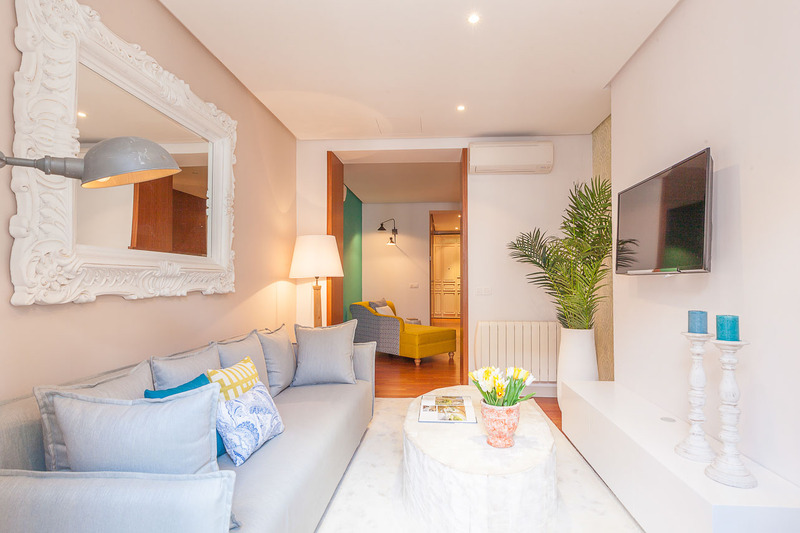 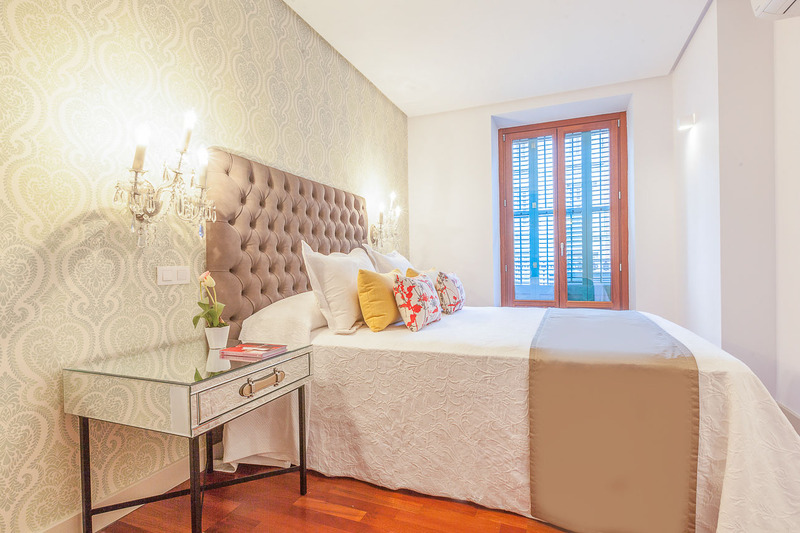 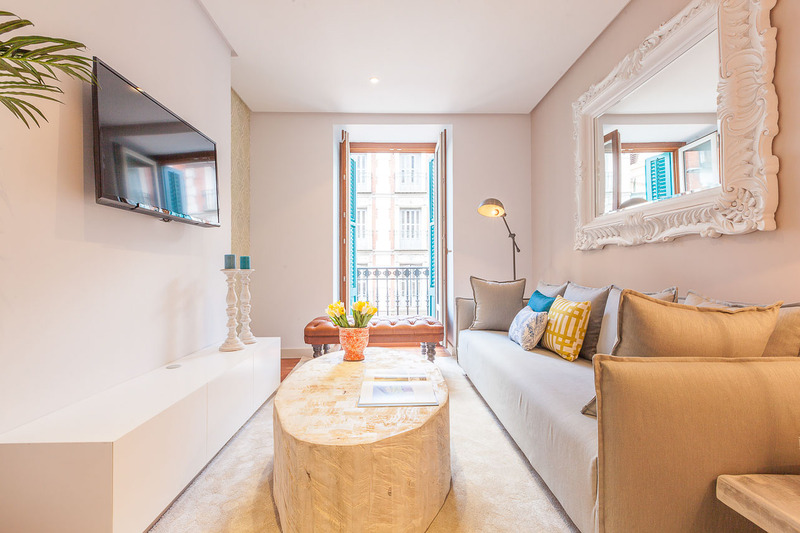 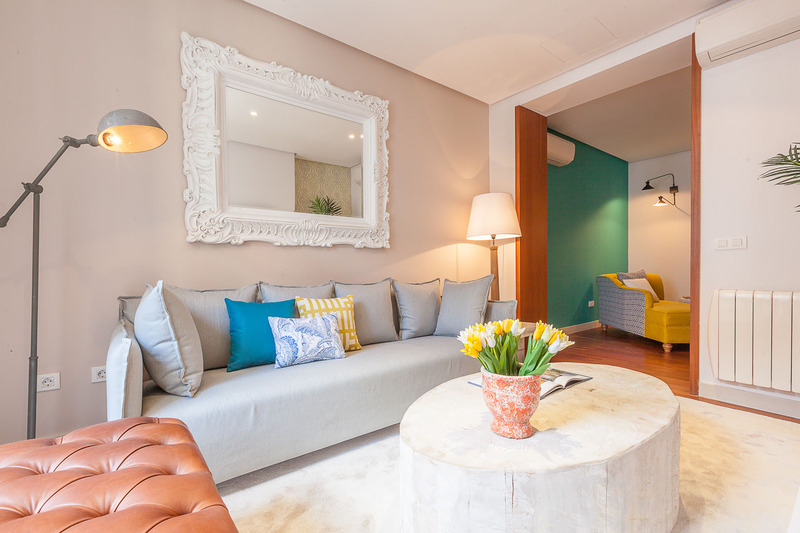 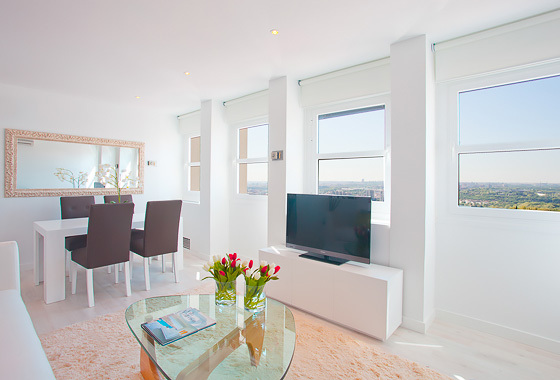 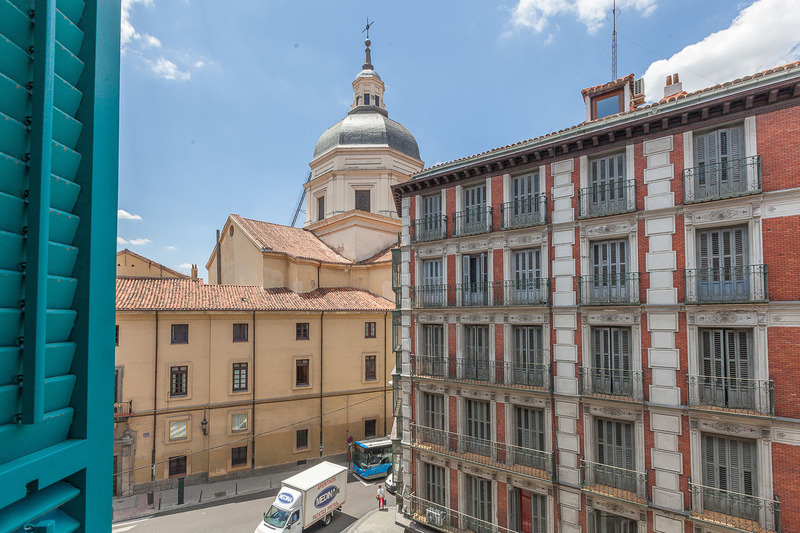 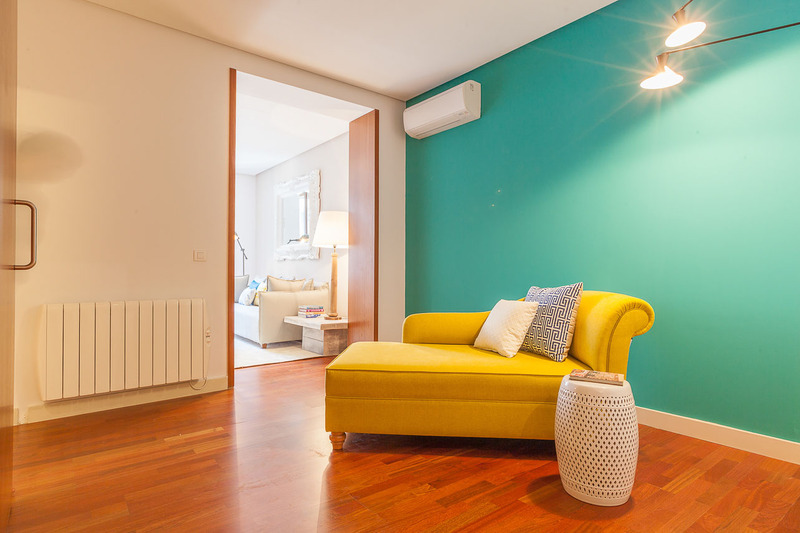 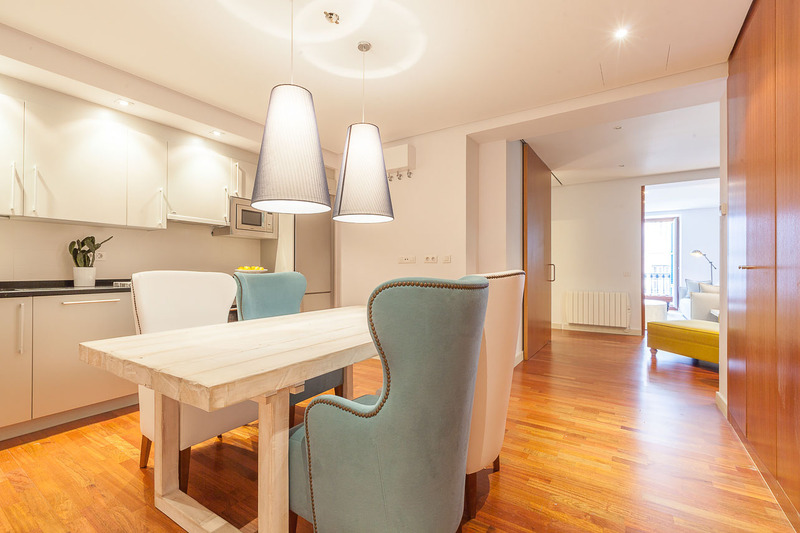 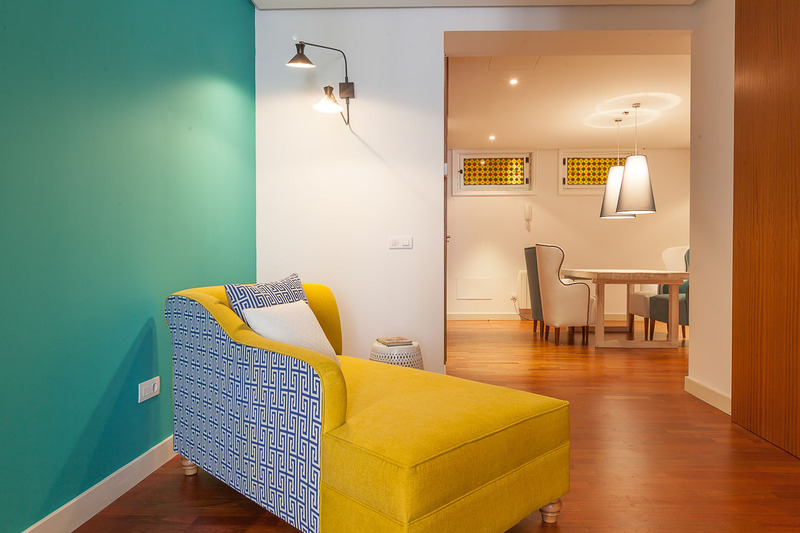 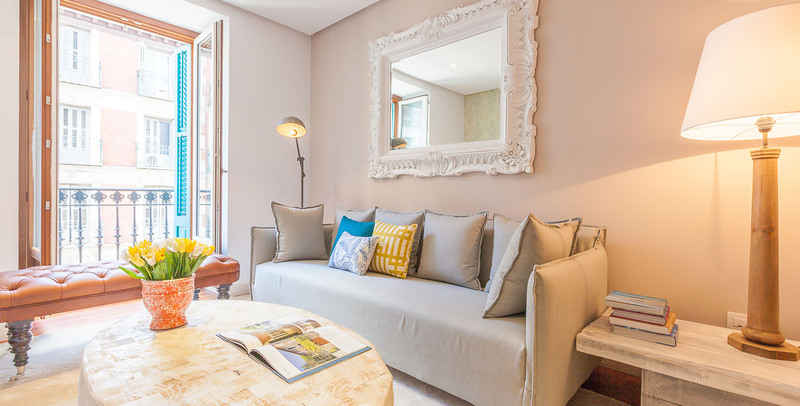 The Puerta del Sol - the very centre of the Spanish capital - is just a short walk away. 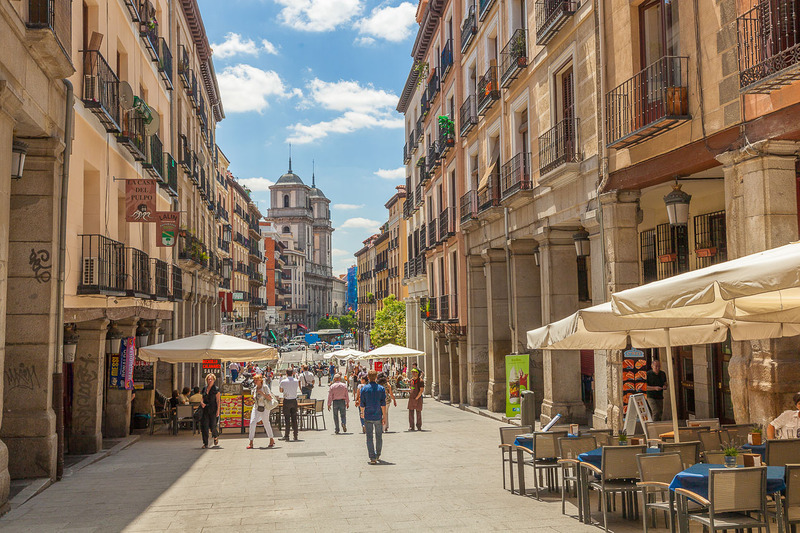 Streets radiate out from the Puerta del Sol and lead to Madrid’s many different neighbourhoods, including Madrid de las Austrias, the Barrio de las Letras and the beautiful art deco thoroughfare the Gran Via. 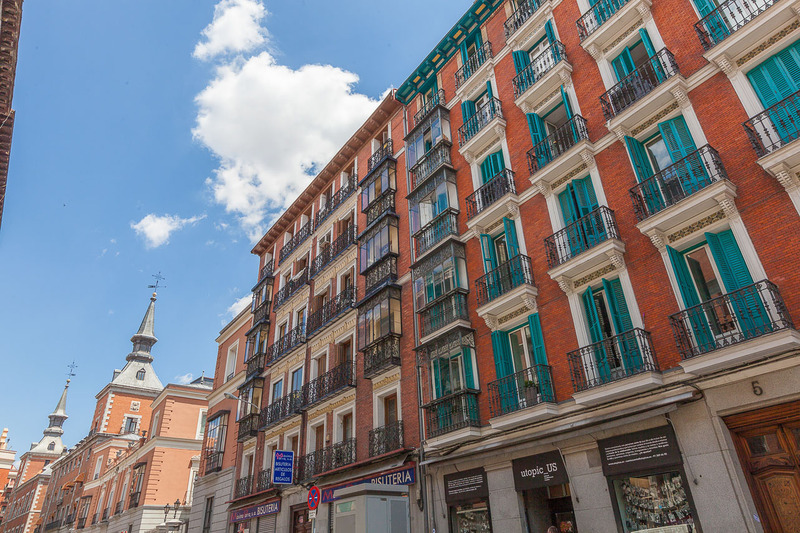 A number of nearby bus and metro stops mean that guests can explore the rest of the city and beyond with ease. 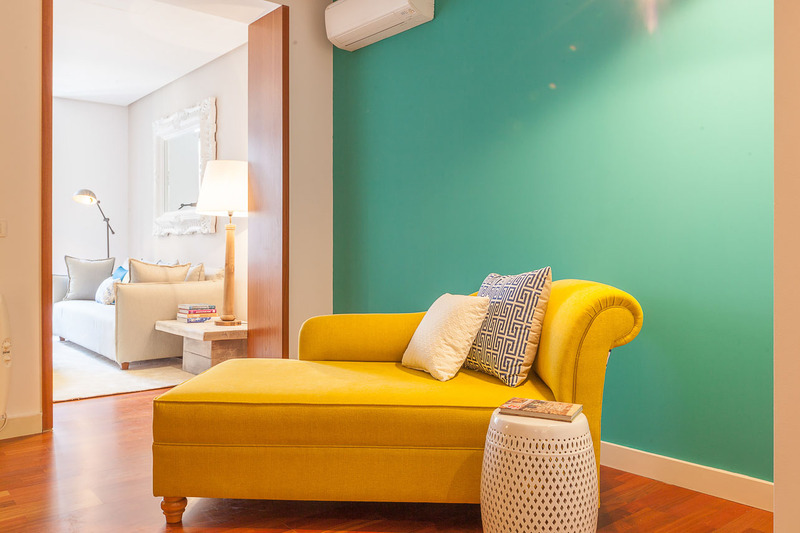 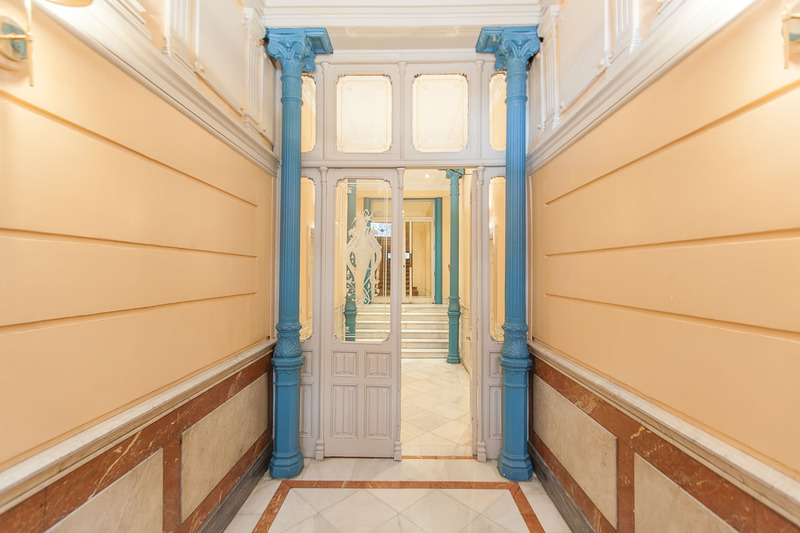 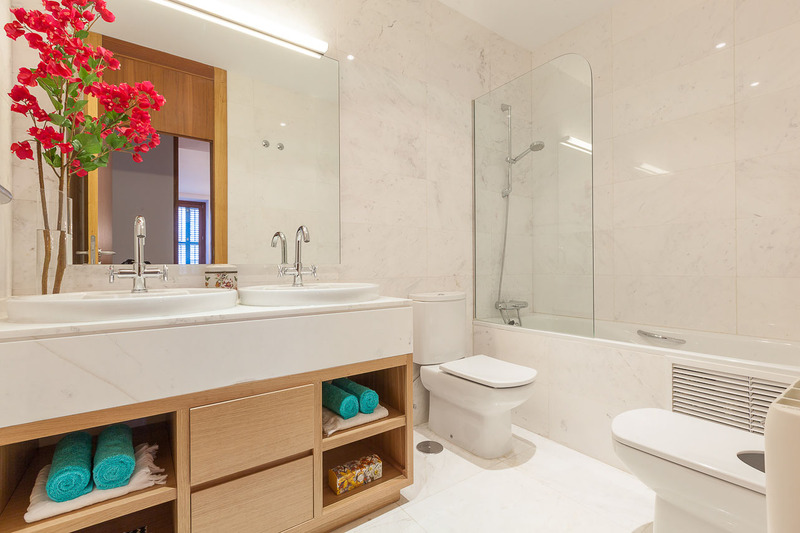 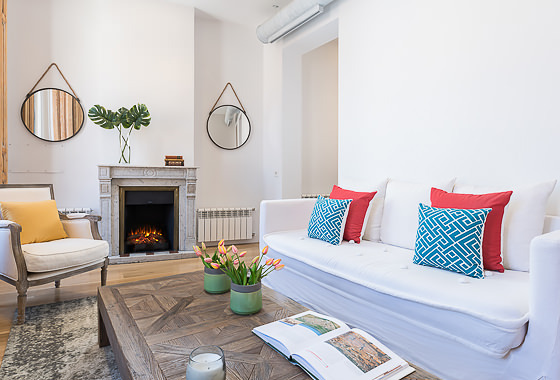 Located on the third floor of a classic Madrid building, the apartment itself has been decorated in an elegant, contemporary style. 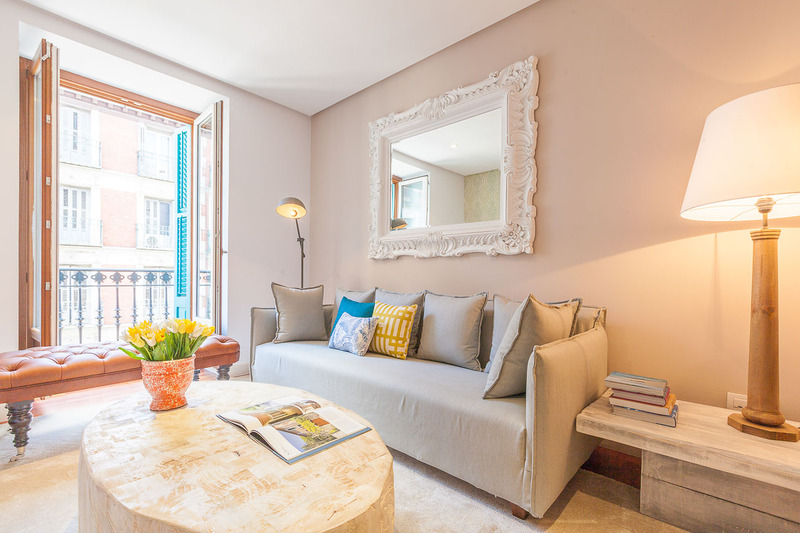 A traditional balconette window in the living room looks out onto the street below and floods the space with light throughout the day. 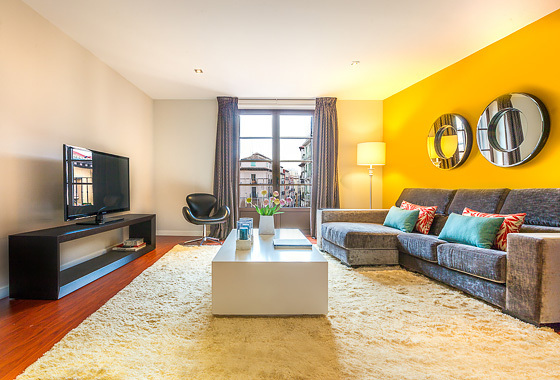 The living room leads into a second sitting room or study area, and then onto the spacious kitchen. 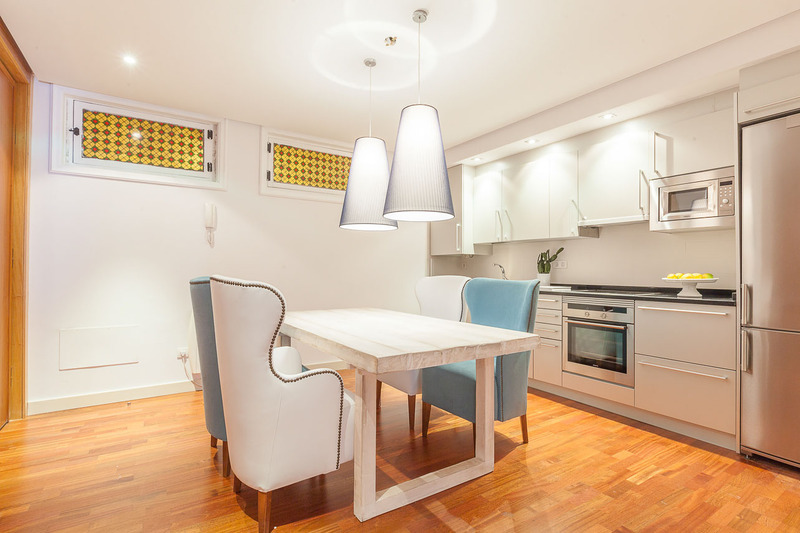 Modern and stylish, the kitchen contains a dining table for four and has been fully equipped with everything guests may need during their stay.